Is Being a Rock Star Bad for Your Health? Dangit. Everything cool or desirable seems to be bad for you. Steak and potatoes, cheese, sugar, alcohol, coffee (depending on who you talk to) – and … rock and roll? 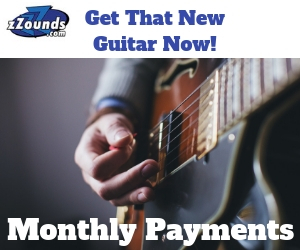 The folks that bring us our favorite music apparently do it at a great cost to their own well being if they’re not careful. 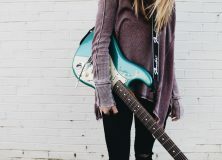 Studies indicate that the average age a “rock star” lives to is between 35 and 42 which is considerably less than the average american lifespan of almost 76 years. Of course, Keith Richards is laughing – he’s almost doubled the rock star average. I suppose it’s folks like him who keep the average as high as it is. News of rockers checking into rehab is commonplace, as we saw recently, with Ritchie Sambora who left the Bon Jovi tour to check into rehab for “substance abuse” as well as exhaustion. The part about exhaustion sort of makes me wonder if there might be other reasons more related to the strenuous and unforgiving schedule and less related to drugs and alcohol. We’ve thrown together some quick stats from government websites, the World Almanac and lists of 300+ rockers causes of death. While not 100% accurate, they do provide some interesting answers. As a note, the percentages below are percentages of rockers who have died, not odds of a living rocker dying in any given way. Drug abuse is indeed one of the highest causes of death for a young rocker at around 13% – but 13% certainly isn’t a majority. Alcohol only accounts for 2% of rock star deaths. Rockers get out and do more, so the travel related stats should be interesting, right? They are. 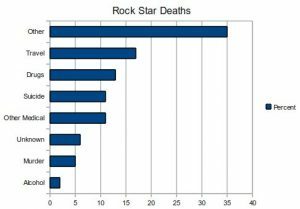 17% of rock stars died in automobile, motorcycle, and airplane accidents. That’s more than drugs and alcohol combined. 11% died due to “other” medical conditions, that could arguably be the indirect results of drug or alcohol abuse or use. Or it could be the same stuff that kills the rest of us. Can you attribute suicide to substance abuse? It’s something that’s been argued, and the percentage for suicide deaths was quite high in comparison, at 11%. 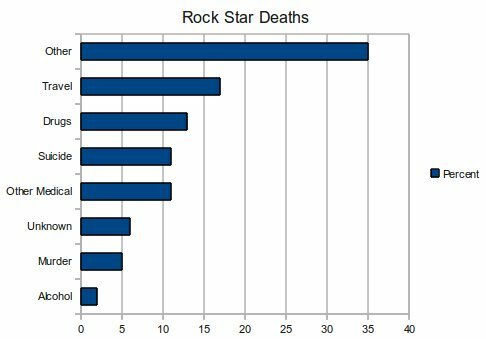 Murder accounted for around 5% of rock star deaths. 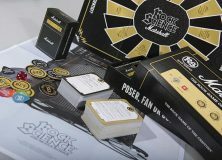 Of the non rock star population, drug and alcohol abuse combined accounts for less than 5% of deaths, so the rock star average is a bit higher, at roughly 15%. 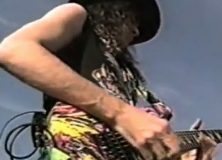 So while the drug and alcohol factor does increase when you become a famous rocker, it sounds like travel and other factors carry the same or more weight as valid concerns.